Description: There is a general understanding within religious and academic circles that the incarnate Christ of Christian belief lived and died a faithful Jew. This volume addresses Jesus in the context of Judaism. By emphasizing his Jewishness, the authors challenge today's Jews to reclaim the Nazarene as a proto-rebel rabbi and invite Christians to discover or rediscover the Church's Jewish heritage. 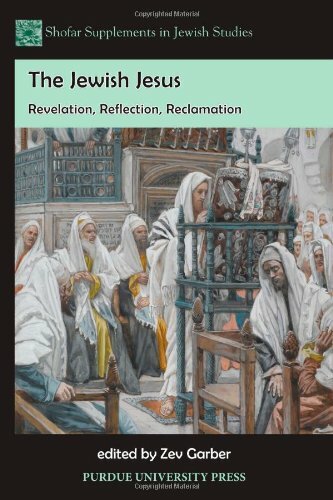 The essays in this volume cover historical, literary, liturgical, philosophical, religious, theological, and contemporary issues related to the Jewish Jesus. Several of them were originally presented at a three-day symposium on "Jesus in the Context of Judaism and the Challenge to the Church," hosted by the Samuel Rosenthal Center for Judaic Studies at Case Western Reserve University in 2009. In the context of pluralism, in the temper of growing interreligious dialogue, and in the spirit of reconciliation, encountering Jesus as living history for Christians and Jews is both necessary and proper. This book will be of particular interest to scholars of the New Testament and Early Church who are seeking new ways of understanding Jesus in his religious and cultural milieu, as well Jewish and Christian theologians and thinkers who are concerned with contemporary Jewish and Christian relationships. Citation: J. Edward Wright, review of Zev Garber, ed., The Jewish Jesus: Revelation, Reflection, Reclamation, Review of Biblical Literature [http://www.bookreviews.org] (2014). Citation: Walter Brueggemann, review of Zev Garber, ed., The Jewish Jesus: Revelation, Reflection, Reclamation, Review of Biblical Literature [http://www.bookreviews.org] (2012).